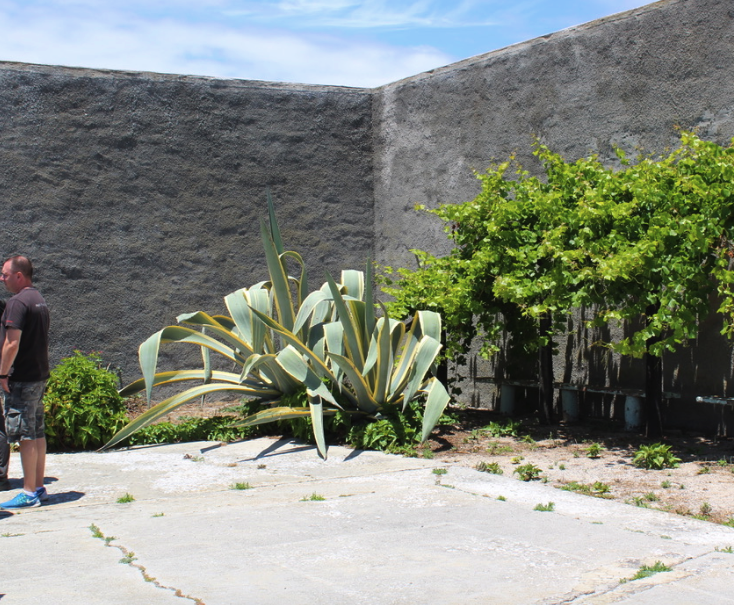 ROBBEN ISLAND, South Africa (Day 4) — Mlilwana “Sparky” Sparks was just 17 when he was sentenced in 1983 to the notorious South African Prison Robben Island, less than five miles west of the Cape Town Coast. He has Nelson Mandela who was imprisoned here for 18 years—and the world condemnation of Apartheid to thank for his freedom—and Mandela and the other South African anti-Apartheid leaders of the African National Congress for landing here in the first place. Sparks explained that like many other young blacks, he joined a militant branch of the ANC and was convicted of possession of arms and sabotage. 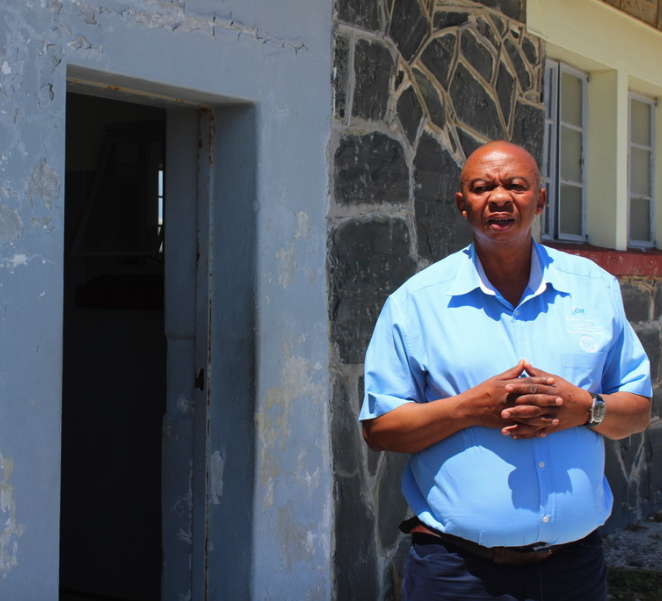 “I never thought I’d get out,” he said, speaking to a group of visitors to Robben Island. That’s right—Robben Island is where he lived in unspeakable deprivation—sleeping on the floor on a mat without a pillow; squatting outdoors to eat in all weather and not even being permitted a jacket, long pants or shoes in the winter, all the while being forced to work in a limestone quarry with primitive tools. He didn’t see his mother for five years. Visits were permitted once every six months “but every time she applied she was turned down,” he said. Letters were so heavily censored you could barely make out who the letter was to and who it was from. Today, Sparks is among a cadre of a dozen former political prisoners who serve as guides for visitors. The prison was designated a World Heritage site in 1999 and is managed by Robben Island Museum, hosting thousands of visitors (get tickets on line in advance) to take the ferry from the Cape Town waterfront. Sparks spoke to us in what was once the prison’s D section, which housed 60 people with just three showers and two toilets. There was no glass on the barred windows and “it was very cold and rainy in winter,” he said. Rations were meager, especially for Black prisoners who weren’t allowed bread or jam. There was only cold water and inmates from the time they arrived were only referred to by their number, never their name. As early as the 16thcentury, Robben Island was a place of banishment for political prisoners and over the subsequent centuries was used as a prison, a leper colony and insane asylum. During World War II, it was turned into a fortress and military training facility. After the war it was a prison for hardened criminals. When the apartheid regime took power in the early 1960s, it began sending political prisoners here — from 1962 to 1991, an estimated 3,000, including Mandela and Sparks. 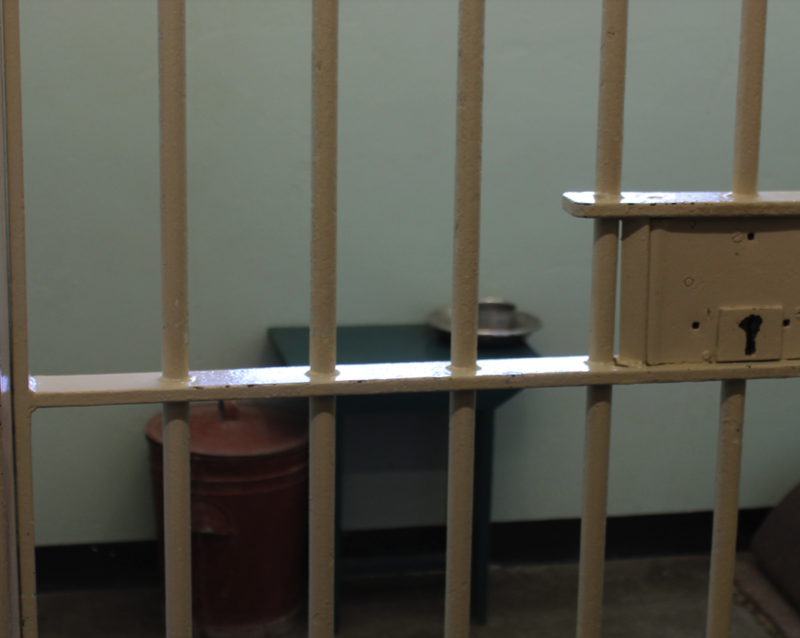 As Sparks recounted his experience, he reminded visitors that Mandela was here far longer than he was—18 years of the 27 he ultimately served, living in this cold damp cell with no furniture, no hot water and no toilet. In March 1960, peaceful protests against apartheid laws that required men to always carry a pass with them turned violent—186 people were injured and 69, including women and children were killed by nervous police. The ANC launched a protest campaign and established a military wing to which Sparks ultimately belonged. The Anti Apartheid government banned the ANC and arrested thousands, including in 1962, Nelson Mandela for leaving the country without a passport. After what was known as the Sharpsville massacre, a global anti-apartheid movement, starting in Britain, gained international traction and spurred an international boycott of South African products. South Africa was forced to leave the British Commonwealth in 1961; it was barred from the 1964 Tokyo Olympics, and became subject to more and more onerous international sanctions. Still, it took until 1990 for Mandela to be released and 1991 for the rest of the political prisoners to gain freedom. By 1963, virtually the entire anti-apartheid leadership was arrested and Mandela, already serving a five-year term, was sentenced to a life term. Like other prisoners, he wasn’t permitted to see his children and had just one visitor for a half hour every six months. “….we searched the refuse bins for the discarded sheets of newspapers which warders had used to wrap their sandwiches,” he wrote in his best selling autobiography, The Long Walk to Freedom, that galvanized the anti-apartheid movement worldwide. The book, which Mandela secretly wrote in his cell at night, was smuggled out of the prison in 1975 by Mac Maharaj, who had transcribed the pages day by day and hid it in his belongings when he was released. Mandela buried his original copy in the garden he had helped cultivate, but it was found by prison authorities. After Mandela was released, he was elected president of South Africa, serving from 1994 to 1999, and became a Nobel Laureate along with F.W. deKlerk, who became president in 1989 and arranged for Mandela’s release and that of the rest of the political prisoners. Mandela died in 2013 at age 95. He returned to Robben Island five years after his release and stood in the lime quarry where he had been forced to labor for so many years without even shoes and socks. He picked up a stone to commemorate the political prisoners’ incarceration after a speech at the quarry. The other former prisoners followed suit and more than two decades later, that pile remains, a stark reminder of what these men endured. As for Sparks, he was 24 when he was released, was able to get an education, had trouble finding a job but ultimately worked with labor unions, raising a family. He hasn’t been plagued by the health problems—physical and mental—endured by so many of the former prisoners who endured such harsh living and working conditions as well as frequent beatings and torture. It was hard returning to work here, he Acknowledged, “But there is no one than the former prisoners who can tell this story,” he said. Previous PostWill the mountain come out for the views of Cape Town and Robben Island? It’s almost March – time to take the kids on spring break!